Dan Locke interview with Katrina from Katrina and The Wave. I had the change to interview someone everyone has heard of. And everyone remembers her band. 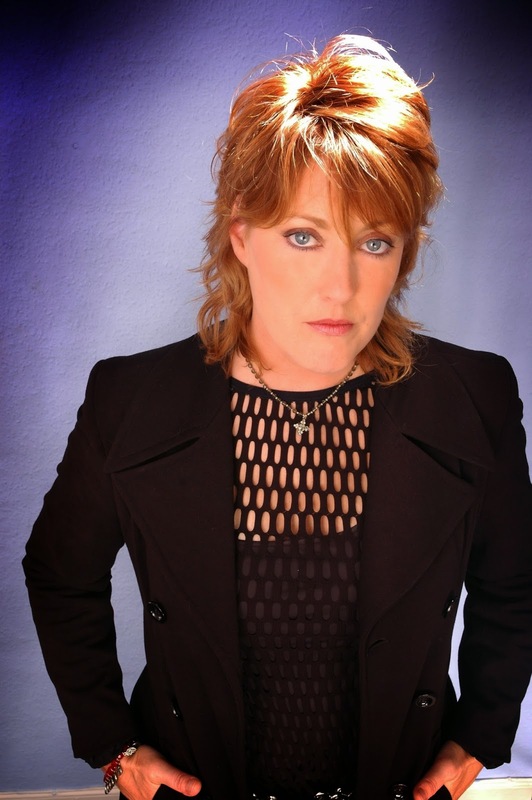 She is Katrina Leskanich from Katrina and The Wave. You remember the song Walking in Sunshine. You should it was a big hit in 1983. And every summer since it still gets a lot of airplay. Also they were Grammy award nomination for "Best New Artist" And their song reach No. 9 in the US and No. 9 in the UK. The sold millions. Katrina has just started a tour which heads to Chicago next week. And I had the chance to ask her a series of questions this week (March 15) by email. DAN- How is the tour going? Katrina - We have had two rehearsals and have been doing a bunch of press. Tonight is the first show and I’m really looking forward to it because I have a cracking band of New Yorkers who have played with everybody from Joan Jett to John Cale. They rock! It will be a great tour. It's wonderful and a blast to be back in my home country making music. I didn't have a tour history profile in America for 20 years and the last year I was asked to join the Retro Futura Tour with Thompson Twins, Howard Jones and Midge Ure and things took off again for me so I'm lucky to be back for this club tour. Dan- Katrina, you were born in Kansas and grew up on the West Coast. What cities did you live in? Katrina- My Father was in the Air Force so we moved a lot. Ready? Kansas, New Mexico, California, Georgia, Florida, Massachusetts, Nebraska, Germany, Holland, England. Dan- What type of bands were you listening to during that time? Katrina- My parents had some great records so I started off with their records, Crosby Stills and Nash, Neil Young, Carol King, Elvis, Mama Cass Eliot. There were six of us kids so we were always fighting over each others records. Many fights were fought over a new Partridge Family album to the extent once my big sister has listened to the album she scratched it so the rest of us couldn't listen to it! Ha ha ha! Dan- By the time you were a teenager you have moved to Europe. What was the different from living in the US vs. Europe? Katrina- When you grow up on military bases overseas you feel like you are in a mini America because we went to American schools and on the base we had pizza parlors and bowling alleys and we used US dollars. If you stayed on the base you could think you were still in America. The first band I was in was called Mamas Cookin and we were all High School friends. We played around all the US bases and performed American music like Eagles, Linda Ronstadt, ZZ Top etc... It wasn't until I met up with the two English guys in Katrina and the Waves that my cultural horizons expanded. Dan- How did your music taste change? the Shangri Las.The English guys turned me onto the Stones, the Who, the Bealtes, the Velvet Underground. Our tastes mashed to form the sound of Katrina and the Waves which was always a little retrospective. Walking on Sunshine was trying to hark back to You Can't Hurry Love. Dan- What were some of the bands you were in before Katrina and The Wave? Katrina- Before Katrina and the Waves I was in Mamas Cookin. See above. Dan- Why didn't the band Hepburn work out? I think it was the band after The Wave? Katrina- I sang some back up harmonies on the Hepburn album but I was never in this band. I also sang back up in the song Torn by Natalie Inbruglia. I sang back up on A Hanoi Rocks song and I was a featured vocalist on Rick Wakeman's Journey to the Center of the Earth. I sang a duet with Eric Burdon for China Beach, We Gotta Get Out of This Place. Dan- What is your instrument of choice? Playing on stage and writing? 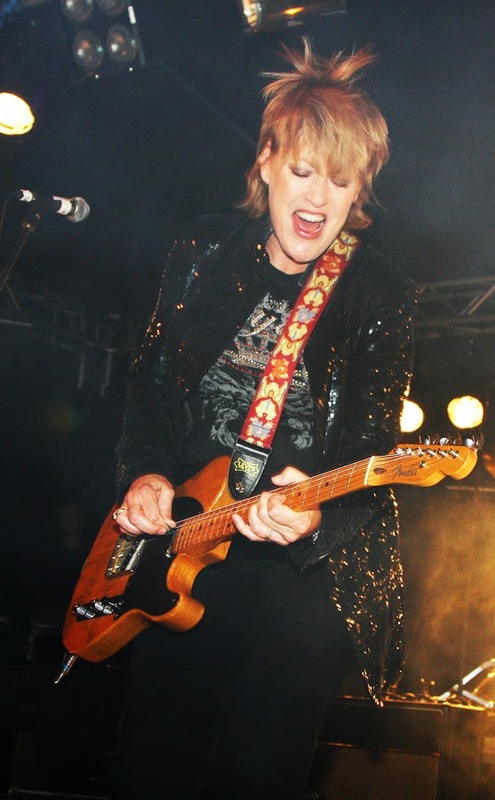 Katrina- I play guitar and have been known to play a very mean lead guitar. Mean as in demented! Dan- Do you have a favorite instrument (make/brand/ year) you like to write with? And same question for performing instrument? Dan- How does an American musician from Kansas become lead singer in an English pop rock band and have it name after her? Katrina- There weren't many "girl" singers around when I started so we thought it a good idea to stick my name on the front of The Waves as we were called originally. We thought it might attract more people to our shows. Dan- Your first break was a song cover by The Bangles "Going Down to Liverpool” Which put you in the same par as Prince. Which is not bad at all. How did they find your music and what license agreements were set up for them to use your song? Katrina- They heard our song from one of our early albums pre Capitol. We were delighted they covered the song as it garnered interest in Katrina and the Waves from Capitol. Dan- At what point did you met them? And what did you think about how they covered your song? Katrina- We have met many times. We used to hang out in our hotel in LA. They played their wonderful new album with Going Down to Liverpool on it and we were blown away and very happy for them. Dan- What other songs did you write, are cover by other artists, which were hits? Dan- What are some of the artists you have opened up for? Katrina- Don Henley, The Beach Boys, Wham, Chaka Kahn, The Pointer Sisters, The Kinks, The Troggs, Fleetwood Mac, Status Quo. Dan- What has been the biggest WOW moment in your performing life? Who came up on stage to play with you? Dan- How did the song "Walking on Sunshine" developed from start to the finish produce? Katrina- Kim wrote the song in the early 80s. We recorded it many times until the definitive Capitol version where the drums were re recorded at the Powerstation Studio NYC. Dan- Are you still in touch with the band members of the Wave? Katrina- Birthday and Christmas cards. Dan- What do you think will be your next step in the life of Katrina Leskanich? Katrina- My return to touring in the USA again and the release of my new album Blisland. Dan- Now who would you like to open up for? Dan- Who would you like to open up for you? Dan- Final question.... Who is on your phone/MP3 player/IPod now? Dan- Thank you Katrina and have a great tour.